The Shropshire Primary Schools Half Marathon took place on Saturday 6 April and was a day of achievement and celebration for hundreds of children across the county. 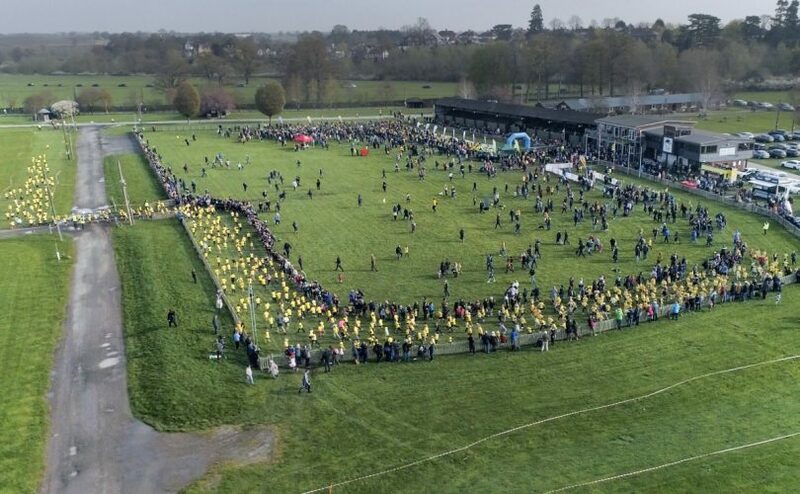 1,800 children from 32 schools had signed up to run the final 1.1 mile of their Schools Half Marathon at Shropshire County Showground, having already completed the initial 12 miles at school over the previous weeks and months. The children were treated to a full race experience, with a marshalled 1.1-mile route around the Showground, race bibs, music, commentator and a finish gantry – to say nothing of incredible support from friends, family, guardians and teachers who cheered them on as they made their way round and crossed the finish line. There were excited scenes of celebration as the children aged between 4-11 received their hard-earned half marathon medals and celebrated their amazing achievement. The great thing about Schools Half Marathon is its non-competitive and inclusive nature, meaning that children of all abilities are able to take part and experience the joy of achieving something as significant as a half marathon. A trial involving 75 children from two schools took place in Shrewsbury in 2017, and the 2018 event saw 900 children from 21 schools across Shropshire complete the first Schools Half Marathon as part of Shrewsbury Half Marathon weekend. Schools Half Marathon is now a stand alone event and part of the Schools Running Movement. The success of the 2019 event in Shropshire is a fantastic precursor to the other Schools Half Marathon events taking place across the UK this year: Telford and Wrekin (15 June), Brighton and Hove (22 June), Stockport (1 July) and West Sussex (14h July). More locations are due to be announced for 2020.